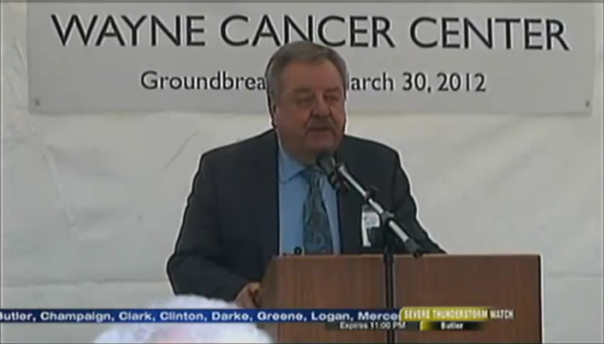 WHIOtv.com has posted the below report on the ground breaking that occurred yesterday on Sweitzer Street on the soon to be Wayne Cancer Center. The $5 million, 12,000 square feet facility will be open in a year and will provide specialized treatment for patients fighting cancer, whereas currently they would have to travel to Dayton, Richmond, or further for treatment. The facility is being built by a partnership between Wayne Health Care, Dayton Physicians Group and Premier Health Partners. Click on the image below for the report and for clips of speeches given by Wayne Health Care CEO Wayne Deschambeau and Greenville City Mayor Mike Bowers among others. Our mission is to create a quality learning environment that enables the school community to invent highly engaging work for students every day. As we strive to establish and maintain a high performing, always improving school system that looks to the future, the student and adult knowledge workers will be the focus of the system. Families, businesses, community organizations, and schools will be partners in learning. As the Mission Statement above states, our goal is to establish and maintain a high performing, always improving school system that looks to the future. One of the ways we work to help all of our students to be successful and improve is through free after school tutoring programs for grades 3-8. If you wish to explore after-school tutoring options for your child, please contact the school where your son or daughter attends. Thanks for your support of our schools as we work to help all of our students have a successful educational experience and a bright future. 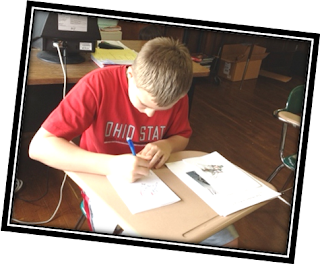 •	The Greenville Junior High School offers an after-school tutoring program that is open to all students enrolled at the junior high. Tutoring takes place on Tuesday and Thursday afternoon from 2:30-3:30pm. All students are welcome to attend. Students receive one-on-one or small group assistance for any of their academic coursework, including homework help, review of classroom concepts and material, and assistance studying for exams, tests and quizzes. Students may also be offered practice tests and testing strategies to help them as they prepare for the O.A.A. testing in the spring. 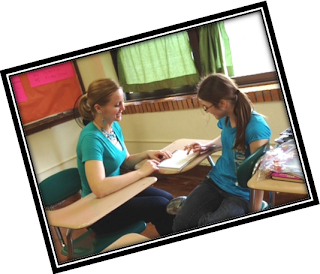 There are currently three tutors that work with these seventh and eighth grade individuals. The students regularly partaking in the tutoring program are gaining a better knowledge and understanding of their subject matter and its content, which in turn is improving their performance in the classroom on a day-to-day basis. •	The After School Program at East is held every day, unless students are dismissed early, from 3:25-5. The number of students attending varies each day from 4 to 15 but the average is about 9 students. Students sign in immediately and if they need help with any homework, they can sign up on the board under the "Help List." The list helps staff know who needs help and also helps to determine how to budget time so that students can receive individual help. There is also a "Reading Log" list on the board so staff can time students who are reading for their reading logs. After signing in, the students can get a snack provided unless they have brought something from home. When they have completed their homework they are allowed to select a book to read, utilize flash cards to practice or choose an educational reading, writing or math paper from an available selection. Students start packing up around 4:55 and they are either dismissed to their parents or walk home at 5:00. •	South Middle School offers an after-school tutoring program on Mondays and Wednesdays for fifth grade students and Tuesdays and Thursdays for sixth grade students. The program starts at 2:30 and runs until 4:00. Each day begins with a physical activity to help students unwind, a nutritious snack, and then academic time. Students are separated into two groups, those with homework and those without. Students who have homework are then taken to a classroom where it is quiet and they receive any help they may need with work. Students who do not have homework work independently or in groups on concepts they have worked on throughout the day in various subjects. South Middle School is committed to allowing students the opportunity to familiarize themselves with technology, so often work is reinforced through the use of educational applications on ipads. Currently, the local Presbyterian Church has sixteen volunteers who come in weekly to work one-on-one with a designated student helping them learn problem-solving strategies, test taking skills, and increase student’s knowledge base to prepare them for the O.A.A. they will take in the spring. April Funday sales at the Garst Museum Store are: Thursday, April 5th (Read a Road Map Day) and Tuesday, April 24th (Pigs in a Blanket Day). April 5th-stop in and show the cashier a road map and buy any or all of our maps at a 25% discount. April 24th-Stop in and vote for one of the 7 candidates vying for the coveted Les Nessman Memorial Silver Sow Award. 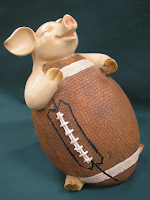 Among the candidates in contention for the award are Pigskin, Sir Canned Ham and Pig Latin. Candidates will be available for photo ops beginning Tuesday, April 17th. By casting a ballot for one of these candidates you will have the opportunity to buy any non-consignment item at a 25% discount. You may always come in and visit the Museum Store without touring the museum by entering the glass doors [business office] entrance at the side of the museum complex. You may apply the special sales promotion with one other eligible discount. Proceeds from purchases made at the Museum Store benefit the Garst Museum and Darke County Historical Society. Pictured are Pigskin and Sir Canned Ham. Brian Fisher, Darke County Horseshoe Pitchers Club; Deanna York, Darke County Visitors Bureau; and Bill Gunkle, Annie Oakley Days Festival Committee. Not pictured: Ken DeMange, Versailles Alumni Association. GREENVILLE, OH (March 30, 2012) – The Darke County Visitors Bureau released the names of the recipients of the 2012 Darke County Tourism Grant, today. This year, three recipients were chosen. They are: Annie Oakley Days Festival Committee for Annie Oakley Festival, Darke County Horseshoe Pitchers Club for Ringer Classic and Versailles High School Alumni Association for FareFest 2012. “With the award of these grants, the bureau has taken another step toward achieving its mission of enhancing the economic growth of Darke County through the promotion and development of tourism,” stated Larry Boos, President of the Darke County Visitors Bureau Board of Trustees. Funds are made available to non-profit tourism attractions and organizations sponsoring special events and programs in Darke County. Grants are awarded on a competitive basis, with primary consideration given to applications, which: (1) attract overnight visitors; (2) attract visitors from more than 50 miles outside of Darke County and (3) feature new or expanded events or programs. To learn more about these events as well as other festivals and activities taking place in Darke County, go on-line to www.VisitDarkeCounty.org. Guest posts are welcome and encouraged. If you have something to say and are able to do it in a respectful, reasonable way, send your piece to darkejournal@gmail.com. The contents of guest posts do not necessarily reflect the opinions of DarkeJournal.com. Every county by law must have an EMA director based on the mandates of Homeland security. To make access easier for you, at the bottom of my comments I have posted the responsibilities of the EMA office. One thing this county is very strong in is the local Civilian component of the EMA management. MRs Lucas has spent a great deal of personal time and sacrifice regarding developing the local citizen volunteers designed by Homeland security to keep us safe and at low cost. She has developed a strong training program to assess and mitigate in the face of disaster. She has vetted these volunteers and made them take background checks as in compliance with Homeland security directives. She has made an effort to develop a SEARCH and RESCUE team at no cost to this county. 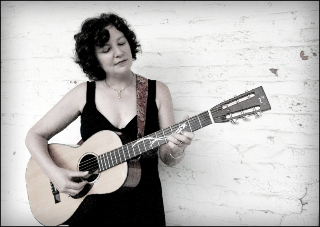 Darke County Center for the Arts will close its current Coffeehouse Series season on Thursday, April 12 at Montage Cafe in downtown Greenville with a performance by singer/songwriter Lisa Biales. “Lisa's crystal pure voice is pure joy to listen to,” said Keith Rawlins, DCCA Artistic Director. “She can and does sing everything, and sings it all incredibly well,” Rawlins continued. The concert by Lisa Biales (pronounced Be-Alice) begins at 7 p.m. According to Rawlins, Lisa grew up in a musical family, and began singing at a very early age. Her mother was an accomplished actress and singer whose talents and instruction inspired Lisa's love of singing. Her father fronted a Dixieland Band which featured Lisa as a songstress when she was only sixteen. In addition to the four albums of music recorded as part of the award-winning duo Prairie Orchid, Lisa has released five solo albums with a sixth recording, Just Like Honey, set for release in June. An artist whose concerts include songs ranging from great American standards to traditional folk to blues and jazz, Lisa is said to also charm audiences with her friendly demeanor and delightful stories. DCCA's Coffeehouse Series features high-quality professional artists in an inviting social setting where food and drink are also available for purchase. The Coffeehouse performances are sponsored by Tom and Julie Graber, Steve and Eileen Litchfield, and Rodney Oda. Additionally, DCCA receives support from the Ohio Arts Council, which helped fund this concert with state tax dollars to encourage economic growth, educational excellence and cultural enrichment for all Ohioans. This program is supported in part by an award from the National Endowment for the Arts. Tickets for the Lisa Biales performance cost $10, and may be reserved by contacting DCCA at 937-547-0908 or dcca@centerforarts.net. If any remain by showtime, tickets will also be available at the door. The First United Methodist Church will host a chicken barbeque carry-out lunch on Sunday, April 29, from 11:00 am until 1:00 pm. The meal consists of half a chicken, roll and butter, applesauce and potato chips. Cost for the meal is $7.00. Tickets can be purchased at the church until Sunday April 22. The FUMC is located at the corner of 4th Street and Sycamore in Greenville. The chicken will be prepared by Paul Mueller of New Weston, OH. The proceeds will be used for our mission projects. Darke County Center for the Arts has received funding from the Darke Rural Electric Trust Cooperative to support the 2011-2012 Family Theatre Series and Arts In Education programs. “Darke County Center for the Arts greatly appreciates being included among the recipients to receive funding from this program, and will use the funds to provide opportunities for children and families in our community to learn and grow through the arts,” stated Julie Strait, DCCA Executive Director. American Family Theatre will present their lavish production of Wizard of Oz, on Sunday, May 6. The final show in DCCA’s 2011-2012 Family Theatre Series will inspire entire families to follow the Yellow Brick Road together. Tickets to the 2:00 pm performance are $5 and may be purchased by contacting DCCA at 937-547-0908 or DCCA@CenterForArts.net . Consisting of 3 productions annually, Family Theatre Series offers affordable opportunities for young children and their families to experience live performances that are entertaining, educational, and culturally enriching. Two programs were presented earlier in the season, Goodnight Moon and The Runaway Bunny, and The House At Pooh Corner. DCCA’s Arts In Education program, in cooperation with local schools, provides students in each grade level of all Darke County and Greenville City Schools the opportunity to experience a high quality professional artistic performance that entertains, educates, and inspires creativity. Artists are generally in residence for 4-5 days, performing at eight local schools. 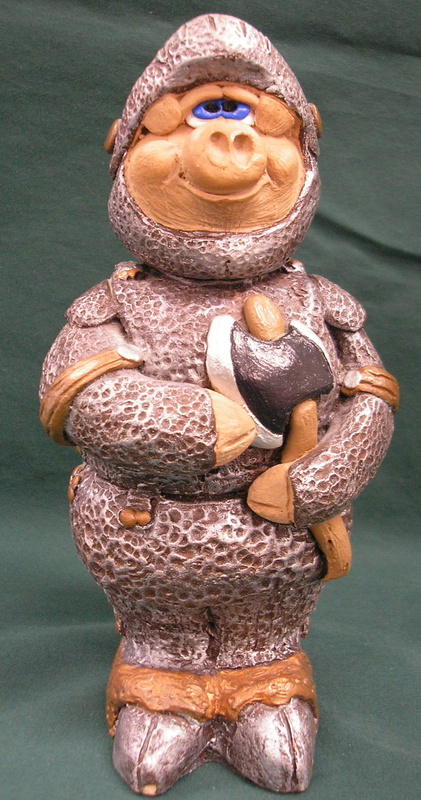 The 2011-12 season included Kuniko Yamamoto’s Magical Mask, Mime, and Music of Japan for grades K through 3, Lyle Cogen’s Sticks and Stones, Meeting the Challenges of Bullying for grades 4 through 6, and Post Comedy Theatre featuring improvisational comedian Robert Post for grades 7 and 8, and grades 9 through 12. For more information on any of these Darke County Center for the Arts Programs, or to become a sponsor, contact DCCA at 937-547-0908 or DCCA@CenterForArts.net. Join Darke County Parks Volunteer, John Heater, on Thursday, April 12th at 6:00pm as he explains the endless possibilities that an animal fiber takes throughout its life. From carding to spinning to the limitless options that can be completed with yarn! The program will be full of step-by-step information to see just how much work was required to make simple clothing of the 18th Century. This FREE program will take place at the Log House at Shawnee Prairie Preserve, 4267 St. Rt. 502 West. Pre-Registration is required. To Register or for any questions about this program call the Nature Center at 937.548.0165. 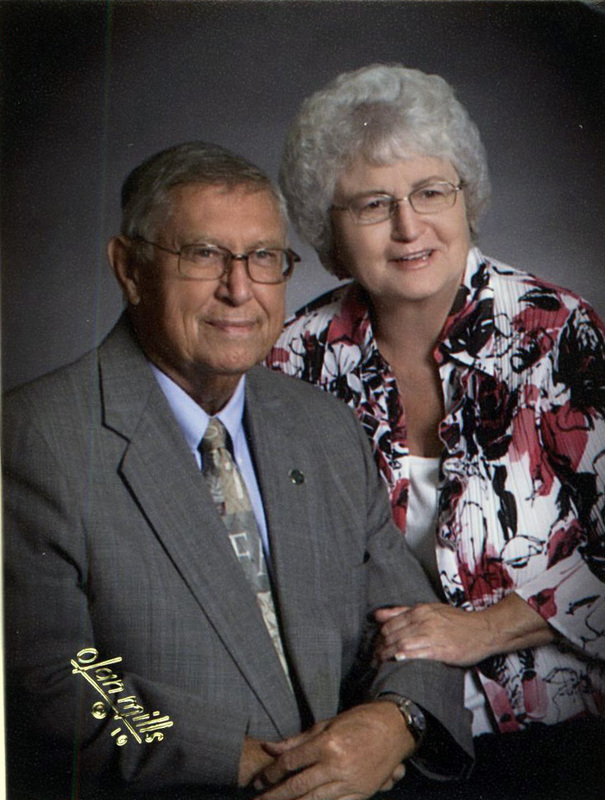 James and Esther Jean (Rose) Frazier will celebrate their 50th wedding anniversary on April 7. They were married in 1962 at the St. Luke Methodist Church in Fairborn, Ohio. Since Jim was a student at the Methodist Seminary, their pastor Rev. James H. Walker could not perform the actual wedding ceremony. Instead, the senior pastor, Rev. Donald L. Robertson gladly performed the ceremony for them. Following the event, the two newlyweds spend the next year in Hawaii, where Jim was stationed with the United States Air Force. Following his discharge, Jim and Esther returned to Darke County, the home of her family. Currently, Jim & Esther reside outside of Greenville, Ohio. Jim is retired from UPS Logistics, and Esther helps others as a home health aide. They are the parents of one daughter, Deanna (Frazier) York who is happily married to Joe York of Greenville; and the grandparents of two beautiful and talented grandchildren, Brayden and Kassidy York. Please send cards to Jim & Esther Frazier at 5331 Tamarack Trail, Greenville, Ohio. February 18, 2012 over 150 people came to Romer’s Catering in St. Henry for Casino Night to benefit The Children’s Medical Center of Dayton. Through ticket sales, the 50/50 raffle, a Bob Evans Fundraiser and donations, over $5,100 was raised and will be presented to The Children’s Medical Center of Dayton at the Children’s Miracle Network Telethon June 2-3 in Dayton. Guests in attendance were treated to a delicious buffet meal before the casino action started. Miss Ohio, Ellen Bryan entertained the guests with a brief performance before the action started. Each guest was given play money to “gamble” with at various tables including black jack, texas hold ‘em and showdown. They could also try their luck at the slot machines, chuck-a-luck wheel, and make some easy cash by throwing bean bags, playing golf, or participating in the “Money Makers.” The guests cashed in the money they won at the various games for tickets that they could put in a raffle for more than 30 prizes. There was also a live auction and 50/50 raffle. The Children’s Medical Center of Dayton assists many families in Mercer and Darke Counties. From June 2010-June 2011, they treated 296 inpatients and 6,016 outpatients. Families in the area that have been affected by the services of the hospital shared their stories and photos which were then put together and shown throughout the night. The slide show showcased 48 children in the area that have been helped by The Children’s Medical Center of Dayton and served as a reminder of why the attendees were there and all the services and families they were supporting. 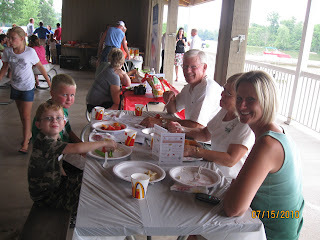 The fundraiser was organized by Eileen Tobe of Ft. Recovery and Sandy Franzer of St. Henry. Eileen experienced the services of The Children’s Medical Center of Dayton first hand with her youngest son. Sandy Franzer, is the mother of 2010 All-Star Ambassador Mitchell Franzer. Mitchell was on hand to help throughout the night and pick the door prize winners and the winning tickets for the casino prizes. To become involved in the fundraiser next year or to have your loved one as part of the slide show throughout the night, please contact Eileen Tobe at 419-375-4534. Left: "We brought the entire family to make bluebird boxes." Right: Program participants are all ready to mount their boxes in their backyard. Spring is here and the Eastern Bluebirds are working hard to find a cavity for the nesting season. Several local families joined us at Shawnee Prairie Preserve as we hit the Bluebird trail to learn about these attractive songbirds. The Eastern Bluebirds have a royal blue back with a warm red-brown tint on their breast. While feeding throughout the day they love to eat insects, grasshoppers, beetles, fruits, and berries. Eastern Bluebirds like several other songbirds are secondary nesters, which means they either need to find a cavity in a tree from a woodpecker or a nest box to be able to raise their young successfully, as they can’t make their own cavity. 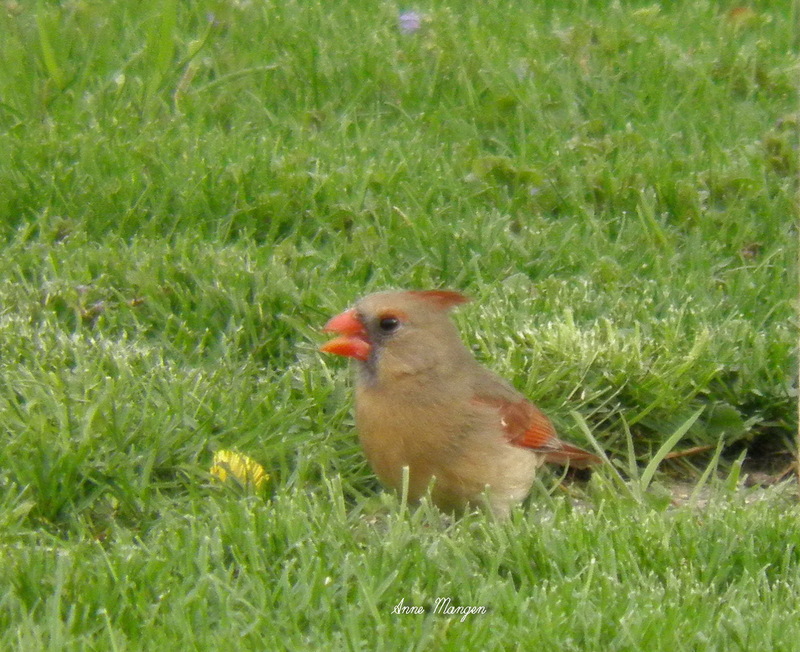 Once they find a nesting location, it is time for the female to build a very neat cup-shaped nest out of the nearby grasses and pine needles. After the nest is made, she lays one sky-blue egg each day for 3-6 days until the entire clutch is complete. Everyone who attended the program built a box to take home and now are able to view their Eastern Bluebirds in action. If you missed this opportunity tonight, please feel free to stop in at the Nature Center and pick up your own set of plans to build your own box for your yard. A huge thanks goes out to Tom Smith, DCP volunteer, who prepared all of the kits for the Park District. Be sure to visit our website and check out our upcoming programs at www.darkecountyparks.org or call the Nature Center at 937.548.0165. During Wednesday’s Darke County Commission meeting, Alex Mikos of Tiger Radio asked the members of the Board of County Commissioners if they had a chance to read Ms. Melody Lucas’ article which was published in County News Online as well as Darke Journal. Mr. Rhoades admitted that he hadn’t due to being out of town. Mr. Stegall said that he had and felt that it was just Melody's opinion. Here’s the deal, when a person takes the time to document times, places, conversations and who said what and if there were witnesses or if there weren’t, IT’S NOT AN OPINION MIKE! It is documented proof that there is a problem. You weren’t in office when it happened but there is a problem, you are in office now and if you are the kind of leader you want everyone to believe you are, FIX THE PROBLEM. Ms. Delaplane remarked that she had read it, they dealt with it and they are moving on. Diane, YOU DIDN’T DEAL WITH IT! You are trying to move on with unfinished business. A person owes us money that they squandered! We want our money recovered! You didn’t handle it, there was no state audit, there was no prosecution, and we didn’t get our money back. When you do all of those things, then you will have handled it, then you can move on. Monday morning, get the sheriff’s investigation, read it, send it to the prosecutor. If there is enough evidence, he will present it to the Grand Jury and ask for an indictment. Then you will have dealt with it, and then you can move on. 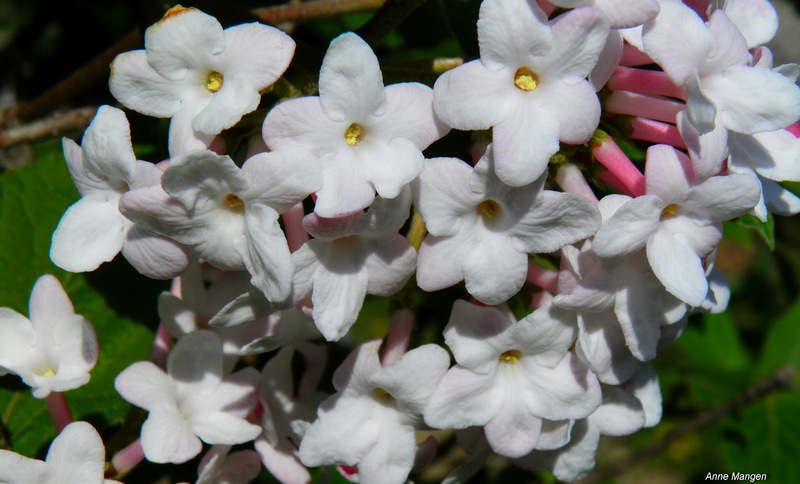 Regular photo submitter Anne Mangen sent in the following two photos she caught of the signs of spring. Click on either to enlarge. Thanks for sharing, Anne! If you have interesting photos or stories to share, send them to darkejournal@gmail.com. We love hearing and seeing what everyone in Darke County is up to, and we're sure the other visitors of the site do as well! 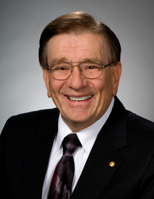 COLUMBUS—The Ohio House of Representatives today unanimously passed House Resolution 292, which designates the month of March 2012 as “Skilled Workforce Recognition Month” in Ohio. “The state of Ohio is truly blessed to have a talented workforce that understands the demands of the 21st century marketplace and continues to strive to improve. Honoring our skilled workforce this month is one way we can thank these hardworking individuals for their contributions to our state’s overall health and competitiveness in the global economy. 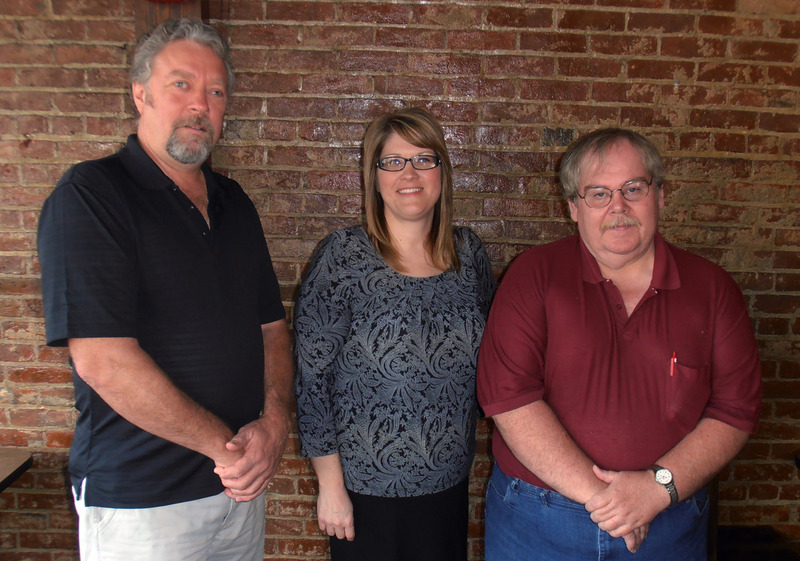 The Darke County Commissioners heard more comments and suggestions from the public this week regarding issues dredged up in the wake of the settlement with former employee Melody Lucas. Below are the public attendees' comments from the session. You can find the entire minutes of the meeting by clicking here. Karyl Parks-DC Citizen: I have had quite a few concerns and I decided I would spare everybody of a lot of agenda that I had today. In doing so, I just want to say in general that I have been going over the past statements from the Commissioners, which it seems a lot conflicting amongst yourself. You would say one thing one week and say something else another week. There is a lot of discussion, I’m sure journal online, Darke Journal and you have seen the discussions, you can’t miss it. There’s becoming a breach of public faith from the Commissioners. We don’t feel that you have been honest with us and I can recognize that people can be human and can make mistakes. It doesn’t matter how big you are and you can make mistakes. However, I would like to see us learn from these mistakes instead of spending this effort and money covering it up, lets move on and correct them and do the right thing. I wanted to bring forward a statement, if I can find it, cause I had a lot of agenda, if I can find it. This struck me as very very important. This is from the “Declaration of Independence”, this is what we are all about and where we started. This sentence was brought up and it moved me. “When a long train of abuses and usurpations, pursuing invariably the same Object evinces a design to reduce them under absolute Despotism, it is their right, it is their duty, to throw off such Government, and to provide new Guards for their future security.” “With great power, comes great responsibility”. Although the words have changed, the meaning has not. If you have the power to do what’s right, then you have an absolute obligation to do what’s right. I just wanted to remind you of that. That’s all. Alex Mikos w/TIGER Radio: Recently, Melody Lucas put together a statement that she put on Darke Journal.com, and was wondering if any of the Commissioners had read that and had a response? Commissioner Rhoades: I haven’t had a chance to read it, cause I was over at Indianapolis all day yesterday, so I haven’t had a chance to read it. Commissioner Stegall: I read it on County News the day it was written. It didn’t mean a whole lot to me. I’m not sure, you know, I guess that is her opinion I guess, that is all I know. Commissioner Delaplane: I did read it. We dealt with it and were moving on. If the weather cooperates, the Darke County Park District is planning to burn prairies at two locations this Saturday, March 31st. Turkeyfoot Preserve (Bishop Rd.) in the morning followed by Shawnee Prairie Preserve in the afternoon. The Nature Center will remain open during the burn. Prairie Burns are crucial to health of a prairie ecosystem and allow for fresh growth and the removal of invasive woody species. Prairies are burned on a 3-5 year rotation. In order to occur, each burn requires the correct wind and weather conditions, which can be a challenge during typical Ohio weather! Throughout each burn, staff members surround the fire to monitor all sides to ensure all is going according to plan. Prairie burning provides many opportunities and benefits to the plants of a prairie ecosystem. Unlike trees, which grow in a fashion that does not benefit from fire, grasses are not hurt by fires in the early spring or late fall, since the plants are dormant at this time. Prairie burns are always scheduled during this dormancy. While dormant, a plant transports all of its food down into the root system and the above-ground portion dies off. As a fire burns through a prairie, it consumes dead matter from past seasons and turns it into nutrient-rich ash. These nutrients return to the soil and are quickly taken up by the plant’s root systems. Prairie burns are a natural occurrence that would typically happen due to a lightning strike or some other method. There is also evidence that shows that Native Americans would manage prairie areas in order to ensure food sources would continue to be available. Native Americans may have actually created prairies where there was once forest! If you have questions please email info@darkecountyparks.org or call the Nature Center at 937.548.0165. A benefit concert for Cathy (Tipton) Eckstein will be held at 7:00 p.m. (doors open at 6:15 p.m.) on Saturday, April 14, 2012 at the Castine Church of the Brethren located at 624 St. Rt. 127, Arcanum, just north of Castine. The talented Tommy Renfro, Lifestage Recording Artist and Darke County native, will perform contemporary Christian music as heard on JOY-FM 88.9 and WGTR-FM 97.5 radio. See www.tommyrenfro.com to learn more about Tommy’s music. A total of 750 tickets are available for this event. Ticket price is $10 (cash only). Presale tickets may be purchased through Wednesday, April 11th at the following establishments: GREENVILLE-Brenda’s Beanery, Kitchen Aid, The Coffee Pot, Curves, KT Plum, YMCA, Third Street Market; VERSAILLES-Ace Hardware, YMCA; NEW MADISON-Weimer Electronics; and ARCANUM-Suttons SuperValu. Tickets will also be sold at the door the evening of the concert. Cathy’s benefit concert will include a bake sale of yummy homemade items and a door prize drawing during intermission. The numerous, exciting door prizes include both gift items and gift certificates donated by local businesses and individuals. Cathy, a graduate of Tri Village, is the daughter of Bill and Carol Tipton. She lives in Greenville with her husband Dennis, the son of Clem and Eileen Eckstein. Cathy and Dennis are the parents of three children, Erica (25) and Peter Jones, Brandon (20), and Caitlyn (17). Cathy has one sister, Beth and Lonnie Beisner; nephews, Derek and Will and niece, Ella. 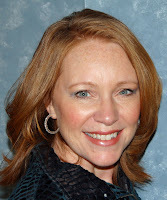 Cathy works as a Mary Kay consultant, which allows her to stay home and work at healing her body. Cathy dealt with health issues for eight years prior to being diagnosed with ovarian cancer in 2009. Subsequent to her diagnosis, Cathy endured a radical hysterectomy including the removal of lymph nodes followed by six months of chemotherapy and three months of radiation. After nine months of remission, the cancer returned and Cathy began another session of chemotherapy. After receiving four additional treatments, Cathy suffered an allergic reaction. At the same time, her cancer was not responding to the treatment and a CT scan revealed cancer growth in lymph nodes in both her chest and pelvic area. In February, a second opinion was sought at the Cancer Treatment Center of America (CTCA) in Zion, Illinois. At her first visit, Cathy began receiving treatments at CTCA. Currently, Cathy travels to CTCA in Illinois every three weeks to receive treatment. Treatment includes the use of natural supplements, mind and body therapy, massage, acupuncture and diet management to aid the Avastin (chemotherapy) treatment received. If you would like to donate or help in any way, contact Becky Hunt at 548-0915 for any questions or information regarding the benefit. If you have diabetes, if you have a family member with diabetes or if you support and care for someone with diabetes, you will want to enroll in Dining with Diabetes, an educational class designed to help you learn to reduce sugar, salt and fat in food and better control blood sugar. Dining with Diabetes will be offered on Thursday, April 19th, 26th and May 3rd at the OSU Extension Learning Center, 603 Wagner Avenue, Greenville, Ohio. The class fee is $30.00, which covers the food for demonstration and tasting, recipe booklets and other educational materials. Pre-registration and payment are required. The deadline is April 13, 2012. Instructors for the course are Diane Barga, Program Assistant, Ohio State University Extension, and Karen Droesch, Diabetes Educator, Wayne Hospital. If you need additional information, call 937-548-5215, or e-mail barga.8@osu.edu. WHIOtv.com filed the report found below regarding yesterday's fatal accident that claimed the life of Jeanne Morris of Greenville (details on the accident can be found here). Stay on the page when the video finishes to see additional footage from the scene in the video that follows. THANK YOU to the sponsors of the Greenville Boys Baseball League exhibition basketball game featuring former members of the Ohio State Buckeyes Football Team and the Greenville Area All-Stars a success. Greenville Transit System is looking to hire (2) part time Driver/Dispatchers. Dispatching hours will mostly include weekends. Driver hours will vary. Excellent job for someone retired with good computer and driving skills. Training provided. Call Kathy Cool at (937)548-0437 or stop out and complete and application. DAYTON & DARKE COUNTY, Ohio – April is the coolest month at Community Blood Center! CBC is celebrating the arrival of spring with the “Catch the Wave and Donate Blood” tumbler. It’s a gift that will keep donors cool in the sunshine now and dreaming of the even warmer days to come. Anyone can take home the tumbler by registering to donate blood now through Saturday, April 14 at all CBC branches and most CBC blood drives. This durable beverage holder promises to serve donors well. It is a clear, double wall acrylic tumbler, BPA free, with screw-top lid and colored sip-straw. It features a splash of red with the CBC blood drop logo inside the “Catch the Wave” design. Technology is making it faster and more convenient than ever to schedule your next blood donation. Just use your computer or smart phone to make an appointment online at www.DonorTime.com or contact Dana Puterbaugh, Darke County Account Representative at 937-997-2199/dputerbaugh@cbccts.org. You can also schedule your next appointment using your mobile device to scan the DonorTime QR code. Please remember that appointments have priority and walk in donors are always welcome as the schedule permits. This just means that if a donor walks in and all appointments are filled at the time, blood center staff will let the donor know when the next available appointment is and offer the choice to wait or come back at a time that is available. Please always allow 45 minutes to 1 hour to get through the entire process, even with an appointment. On March 28, 2012 at approximately 1030 AM Darke County Deputies, along with New Madison Fire, Greenville Township Fire, Arcanum Rescue, Greenville Township Rescue, and CareFlight were dispatched to the 4900 block of State Route 49 south in reference to a two vehicle serious injury accident. Preliminary investigation revealed a white 2007 Freightliner straight truck, driven by Joshua M. Leybourne, 23, Huber Heights, Ohio was northbound on State Route 49 south of Folkerth Road. Leybourne’s vehicle traveled across the centerline and struck a southbound 2006 Silver Honda driven by Jeanne G. Morris, 76, Greenville, Ohio. Leybourne’s vehicle traveled off the left side of the roadway coming to rest in the side ditch. Morris’s vehicle traveled off the right side of the roadway, coming to a rest in the side ditch. 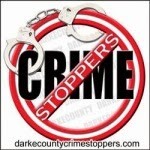 The Darke County Coroner’s Office and the Darke County Sheriff’s Office Accident Reconstruction team also responded to the scene for further investigation. Morris was pronounced dead at the scene. Leybourne refused treatment at the scene. CareFlight’s response to the accident scene was canceled. Also responding to the accident scene was Darke County EMA, ODOT and Allied Environmental Services clean up crew out of Lima, Ohio. The hazardous material spill consisted of oil and diesel fuel. State Route 49 from US RT 127 to Jaysville-St. Johns Road was completely closed for approximately 4-1/2 hours. 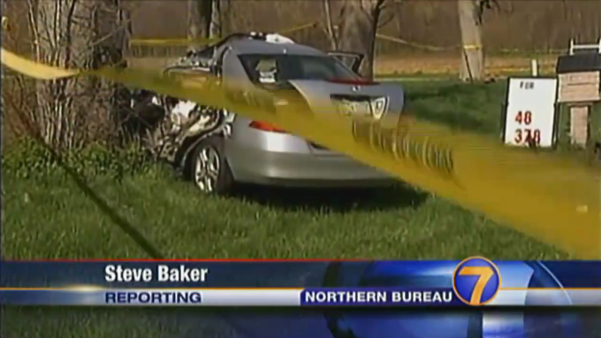 This accident marks Darke Counties second fatal accident on Darke County roadways in 2012. Sam Jones and Parker Cameron of the Greenville High School Engineering College Tech Prep department presented a program to the Rotary Club on an alternative source for hydroelectric power. Their “Vortex” turbo system would be much more environmental friendly for fish life and uses a much smaller space. A single or a series of Vortex systems could be used along rivers or creeks and could sooner pay for themselves than large hydroelectric dams. Their teacher, Chris Sykes, explained students earn credits from whichever college they attend, while still in high school. Mr. Sykes said Greenville High School can now teach students any kind of engineering. Jesus’ Last Supper was actually a Jewish Passover. Rob Wertheim of Jews for Jesus will re-create the traditional Passover service and explain how it foreshadowed Jesus’ death and resurrection in a presentation called “Christ in the Passover” at EUM Church on Friday, April 6 at 7:00 p.m. Rob will set a table with items traditionally used at the Passover meal and detail their spiritual significance. He will also explain the connection between the events of the first Passover in Egypt and the redemption that Jesus accomplished, as well as the deep bond between the ancient Passover feast and the Christian communion celebration today. Rob will be happy to answer questions after the presentation. Call EUM Church for more information. There is no admission charge. This Good Friday service is a ministry of EUM Church. Our worship services are Saturday at 6:30 p.m. and Sunday at 8:15, 9:45, and 11:15 a.m. at our Worship Center located at 1451 Sater Street (corner of Sater and Sebring-Warner Road) in Greenville, OH. The Downtown Campus, 111 Devor Street, houses our offices and preschool. For more information, go to www.eumchurch.org or call 548-3211. Brethren Retirement Community will be offering a 3 week Watercolor Class for beginners and the self- taught, instructed by Rusty Harden, starting on Monday April 16 from 9:30 - 11:30 at Chestnut Village Center. You will learn how to handle watercolors and paint what you love. Rusty is an award-winning artist from Tipp City, who has her work in some wonderful galleries. Her work will be featured at Bears Mill in April. This class is open to the public, age 55+ , seating is limited. For more information or to reserve your seat please call 547-7628. The Mid-Biennium Budget Review is a current topic of discussion in the Ohio General Assembly. Last year we passed Governor Kasich’s jobs budget, which provided a road map for state spending in 2011 and 2012. In an unprecedented move, Governor Kasich directed the state agencies to assess their spending and adjust their budgets accordingly. This process is certainly a unique practice in the affairs of state government. This additional step of fiscal conservatism allowed our state government to identify ways to cut more than $91 million from the various budgets for the second year of the biennium. More importantly, the Mid-Biennium Budget Review provides methods to make a number of significant changes regarding outdated policies, ending duplicative or inefficient programs, close tax loopholes, cut bureaucracy, and make the best use of technologies. This is part of what Governor Kasich calls his Management Efficiency Plan, which he recently proposed. The plan is designed to reduce costs and improve delivery of services for Ohio taxpayers. In testimony before the Ohio House Finance and Appropriations Committee, the Director of the office of Budget and Management, Timothy Keen, said, “It has been the most thorough budget and policy review outside of the preparation of the biennial budget process that I have experienced in my more than 25 years of involvement in state budgeting.” My experience in government tells me this will make a difference and is the type of medicine we need to stop wasteful bureaucratic spending. In our homes we review our budget monthly, it is time government use this type of common sense and responsibility. Governor Kasich and officials in his cabinet are stressing the importance of developing new strategies to improve the management of Ohio’s government agencies and health systems, focus on Ohio’s education and workforce development efforts, and provide Ohioans access to low-cost, reliable sources of energy and fuel. The main highlights of the Mid-Biennium Review call for an education and workforce development, management efficiency, and more control and savings for local governments. In our region, strong families have served as an example to generations for hard work and good money management. The least we can do is expect the same from our government. Together our government will work to cut red tape, reduce government cost, and ensure funding is being allocated appropriately. Over the past year and a half, many constituents have pointed out government inefficiencies that have directly led to the savings of Ohio tax dollars. This continued discussion will benefit all Ohioans. Greenville Church of the Brethren, located at 421 Central Ave., Greenville, will be holding a FREE Giveaway Event on Friday, Mar. 30th & Saturday, Mar. 31st, from 9:00 am - 5:00 pm each day. This event is for the community - keep your money at home! There will be plenty of men’s and women’s clothing, children’s clothing and toys, shoes, and various miscellaneous items available. Look for signs located at the church’s front entrance for directions into the church basement where the FREE Giveaway Event will be held. In order to make the program more accessible to everyone Children’s Theatre Club has reduced their dues to only $30.00 per show. Changes have also been made in the summer rehearsal schedule. Rehearsal will now be only be held on Mondays and Thursdays (additional dress rehearsals and concert rehearsals are scheduled). Contact Children’s Theatre Club for a detailed schedule. The non-profit organization offers theatre opportunities for area youth in kindergarten through 12th grade. We are a program for children by children. Every member who auditions will be included on stage, and every effort will be made to highlight and give a part to anyone who wants one. Members will be given opportunities to participate in any area of interest of Theatre they may have including directing, design, script writing. Sign-up for the 2012 season is now under way interested members can receive an information packet and application by contacting the Children’s Theatre Club. 2012 summer productions include High School Musical and Once on this Island. The 1991 Tony nominated musical Once on this Island is loosed based on Hans Christen Anderson’s The Little Mermaid and Romeo and Juliet, this musical tells the story of the young girl Ti Moune as she travels around the island trying to find meaning to her life in a world ruled by social inequality and four temperamental Gods. Featuring such beautiful and upbeat songs as: “Mama will provide”, “Why we tell the story”, and the touching “Ti Moune.” This heartfelt and moving production offers over a hundred parts for cast members along with a strong ensemble. The second summer production will be the stage version of High School Musical. This popular Disney movie comes to the stage, in the tale of what happens when students breakaway from the stereotypical high school cliques. Including such well known songs as: “Breaking free,” “Stick to the status quo,” “We’re all in this together”, plus a new song not featured in the movie. Members can choose to participate in either both productions or a single production. Registered members will also be eligible to participate in our summer concerts. For more information contact us at 937-547-3360 or childrenstheatreclub@yahoo.com, also follow Children’s Theatre Club on Facebook. Last month this column was started with the words that as the column was written, it was a balmy 45 degrees for February. This month, as this is written, we are looking at 3 days in the 80’s in March! This has been our kind of weather! We in the Commissioner’s Office are hoping we do not pay for this in April! We are fortunate to have had a mild winter, as that helps everybody feel better, and helps with the high energy bills also. As is known by now, this has been a tough month in the Commissioner’s Office. On the bright side of things, we have finally reached an agreement on an issue with an employee that occurred in 2009. Although I am sure that both sides of this are not totally happy with the outcome, both sides agreed to settle this for the good of all. We are now moving on and look forward to a brighter future. The Commissioners have been really busy with all the local FFA Chapters having their banquets, and other events where we are invited to attend. Most of these events happen on the same night, so in order to make as many as possible, we have devised a “divide and conquer” strategy. We are splitting up as a group so we can be present at as many events as possible. One thing we all enjoy is the FFA banquets. We are lucky to have so many outstanding young people in Darke County who are willing to work so hard to make their Chapters successful. Congratulations to all of our County’s FFA members. It is nice to know that Darke County’s future will be in such capable hands. In other happenings, on March 23rd, Commissioner Stegall and County Business Administrator John Cook attended a CORSA (County Risk Sharing Authority) renewal meeting. CORSA is our property and liability insurer, and because of the low amount of claims we have had, our insurance has seen some slight decreases. John Cook, the Business Administrator, has done an excellent job of staying on top of this situation, and is to be commended for always looking for other ways to cut our costs, and to protect our workers and citizens. Thanks, John, for a job well done. On one other front, John and the Commissioners are in the process of hiring a replacement maintenance individual. Good Luck to Kenny Martin in his new endeavor. Kenny will be sorely missed, as he was a great worker, and a good friend. Hopefully, we will have the position filled very quickly. On the same employment front, Rick Lee, our EMA Director has left his position to take another job offer. We wish Rick all the best in his new endeavor. As of now, the Interim Director of the EMA Office is Mindy Saylor. Mindy is going to have her hands full as she is alone in the office, but we know she can handle the job capably. Good luck to all of you in your new positions. On the “Economic Front”, Darke County continues to receive all kinds of recognition, both locally and nationally. Site Selection, a national magazine for site selectors, has named Ohio the #1 State in the Country for economic development, and Greenville, has been named 21st out of 576 in the Nation in economic development for micropolitans by county (places where there is no city above 50,000 population). This is a tremendous honor! Congratulations to all of our companies, the C.I.C., Partnering for Progress, and to the various C.I.C’s in the County for making this possible! Darke County is truly unique in the fact that we have so many communities working together to make this possible. The Dayton Business Journal also just ran an article on the accomplishments of Darke County and our influence in the Dayton Development Region. We are getting noticed! Of course, we are not stopping here and resting on our laurels. The E.D. Office has many more projects in the works, and it looks like Darke County will continue to be a bright spot in the State. Speaking of the State, a study called “Location Matters-A Comparative Analysis of State Tax Costs on Business”, conducted by the Tax Foundation in Washington, D. C., found that Ohio now has the 3rd lowest tax burden in the country for newly established businesses, and the 5th lowest taxes on mature businesses. This is great news, and should help in our local economic development efforts. You can find out more information on the DevelopOhio Blog. As we go on through the year, we certainly hope that all of you can at one time or another join us for one of our public sessions. We meet every Monday and Wednesday, at 1:30 p.m., in the Commissioner’s Office located next to the Courthouse at 520 South Broadway in Greenville. Hope to see you there! The Greenville Athletic Boosters will be holding a Bowling and Silent Auction Fundraiser Night on March 31, 2012 from 6:00 p.m. to 10:00 p.m. at The New Treaty Lanes. The event will include all the bowling you can bowl, pizza, bowling shoes, and a silent auction bidding number. There will also be door prizes, bowling prizes and a 50/50 drawing throughout the evening. Tickets are on sale for $20 person and can be purchased from the GHS athletic office at 548-4416 or Stephanie Baumgardner at 459-2616. Some of the items that will be available to purchase at the silent auction are 4-night stay at the Lazy Parrott Inn, a front row parking space at GHS football games, Gift Certificates to several restaurants, themed baskets made by the different sports teams and much more. If you are interested in making a donation such as a monetary donation, a item for auction, or service for auction, please contact Stephanie Baumgardner at (937) 459- 2616. 100% of all proceeds go to Greenville Athletic Boosters to help support GHS athletes by purchasing equipment and providing scholarships. Thank you in advance for your support. Regarding the Settlement involving Melody Lucas vs Darke County. David heard Goliath shouting his daily defiance and he saw the great fear stirred within the men of Israel. Everyone was afraid of Goliath. He seemed invincible. Not even King Saul, the tallest man in Israel, had stepped out to fight. They knew the sides of the valley were very steep and whoever made the first move would have a strong disadvantage and probably suffer great loss. Against others warnings, David volunteered to fight Goliath and the giant cursed at him, hurling threats and insults. He chose not to wear the King's armor because it felt cumbersome and unfamiliar. David was comfortable with his simple slingshot, a weapon he was skilled at using. When the giant criticized, insulted and threatened, David didn't stop or even waver. Everyone else cowered in fear, but David ran to the battle. He knew that action needed to be taken, so he did the right thing in spite of discouraging insults and fearful threats. What started out as a David and Goliath quest based on principles has me wondering if instead I have simply become a rabid dog. As I watch the fallout from my recent settlement agreement, it is very difficult, in fact impossible, for me to move on with life without at least debunking the continuation of misinformation and contextual lies. Understanding that some people would love nothing better than to leave this all behind, I feel a duty to lay it all out for the public and let them decide if this is the leadership we want in our county. Weeks following the publication of the settlement, the public is still forced to read between the lines, and the ongoing deceit from the Commissioners’ office clearly indicates that no lessons have been learned during this process. When pressed for information the Commissioners continue to add insult to injury. The lack of accountability and the eagerness of the public to move on only affirms what I came to realize over the almost two and one half years; there is no accountability, politics are not in the best interest of the public, and the majority will not rise up to do the right thing (whether within the Commissioners office or in the public at large). What happened to the times when principles mattered, accountability and consequences were required, and trust and integrity were of paramount importance. To raise public awareness of the hazardous side of spring weather, Darke County Commissioner’s proclaim March 25 – 31, 2012 Spring Severe Weather Awareness Week. This proclamation is co-sponsered by The Darke County Office of Homeland Security & Emergency Management and the Darke County Chapter of the American Red Cross. Citizens are urged to participation in a statewide tornado drill scheduled for Wednesday, March 28th at 9:50 am. “Following the one of the most active and deadly years in weather history and this year’s events in Ohio and Indiana having safety plans in place prior to any severe weather event are a must,” said Darke County Emergency Management Interim Director Mindy Saylor. When severe weather is likely, people should listen to local radio, television, a weather channel or a National Oceanic and Atmospheric Administration (NOAA) radio for information. If a tornado watch is issued, the conditions are favorable and a tornado is possible. However, if a warning is issued, a tornado has actually been spotted or appeared on radar. This is the time when people should go to a safe shelter immediately. Darke County Emergency Management recommends the safest place during a tornado is underground in a basement. If there is no basement, people who are at home should go to the lowest floor of the house and to an interior room such as a bathroom, pantry or closet. Office workers should take shelter under something sturdy like a desk or a table to protect from flying debris or a collapsed roof. Everyone should stay away from windows. Mobile home residents are especially vulnerable to damage from high winds and should go to a prearranged shelter when severe weather is predicted. Preparation for any type of severe weather also means having a family disaster plan and an emergency supply kit assembled and in a location that is easy to access during an emergency. More information on tornadoes and overall emergency preparedness is available at www.darkecountyema.org and www.Ready.gov. GREENVILLE, Ohio, Monday, March 26, 2012– On Thursday, April 26th, 2012 Spirit Medical Transport & Sterling House / Clare Bridge Greenville, are sponsoring a new county event called the RACE TO REMEMBER. Teams will travel by car to the finish while stopping at various points of interest and completing tasks along the way. The event will begin at Spirit Medical Transport and end with a celebration reception at Sterling House/Clare Bridge of Greenville. Everyone participating on a team that day will receive a complimentary lunch and t-shirt! It will be a fun experience while raising funds for the Miami Valley Alzheimer’s Association. We are looking for teams & sponsors to participate to raise money for the Miami Valley Chapter of the Alzheimer’s Association. The cost to participate on a team is just $10 per person with a maximum of 4 people per team. This event will surely be an annual event and your support for our first Race to Remember would be greatly appreciated. 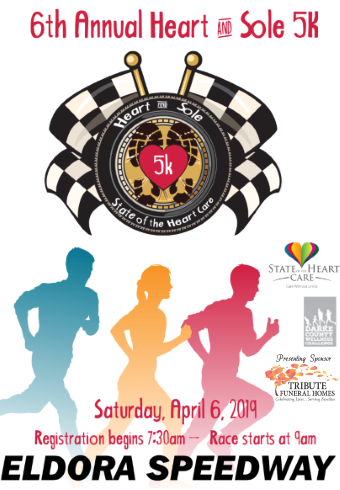 Call Amy Schwieterman at 937-564-1120 to learn more about the Race to Remember and how you can participate! As was announced in February, Foreigner will headline the concert at this year's Great Darke County Fair. Tickets are on sale now and plenty of great seats remain available. The concert is Sunday, August 19th at 8pm and tickets can be purchased online by clicking here, or over the phone at 937.548.5044 or 800.736.3671. Type 2 Diabetes is a disease in which your pancreas does not make any or enough insulin, or your body prevents the insulin you produce from working correctly. Insulin is necessary for your body to use glucose, from the food we eat, for energy. High levels of glucose caused by uncontrolled blood sugar can damage your eyes, heart, kidneys, nerves, legs, and feet. Taking steps to control your blood glucose level can help you to live a healthy life with diabetes. However, these steps can sometimes seem overwhelming. Break your steps down into Self Care Behavioral Goals which include: Healthy Eating, Being Active, Monitoring, Taking Medication, Problem Solving, Healthy Coping, and Reducing Risk. Diabetes Day is a wonderful opportunity to learn about some of these behavioral goals. Diabetes Day will be offered at Wayne HealthCare on Saturday, April 14, 2012. The program will take place from 8:30 a.m. until noon. Speakers will discuss topics of interest to individuals with diabetes. Along with speakers, there will be numerous displays by companies serving the diabetes community. We wanted to provide individuals with topics which will help them on their journey with diabetes. The topics will be discussed by a handful of talented individuals in Darke County. Dee Carrington PTA, with Wayne HealthCare will provide an interactive session regarding “Diabetes and Exercise”. The talk will begin by discussing exercise when you have diabetes. You will than learn how to properly do strength training and stretching exercises. Matthew Painting DPM with Western Ohio Podiatric Medical Center will discuss “Diabetes and Foot Care”. Knowing how to care for your feet will lower your risk of developing foot complications. Karen Droesch RD,LD,CDE the Diabetes Educator at Wayne HealthCare will discuss “Nutrition Tips” to control your blood glucose and reduce your risk of complications. Karen will break down nutrition into bit size tips. Registration fee is $5.00 for each participant if you pre-register before April 10, 2012. After this date or at the door, the fee is $7.00 per participant. 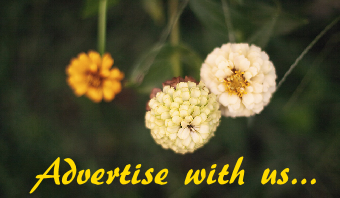 The cost includes lectures, venders, handouts, and refreshment breaks. For more information or to register call 937-547-5750. Do not put off learning how you can live healthy with diabetes. Attend Diabetes Day and be healthier tomorrow. Instructor Janelle showing student Tiana about pop art and Andy Warhol paintings. GREENVILLE –The Art-Rageous Experience – Children’s Art Program has open registration for the last session of class before summer. “The children have experienced all kind of fine arts this year with many new techniques planned for this last spring session.” said Debby Brayfield, program administrator. These classes give young children the chance to experience and experiment with different kinds of art each Saturday morning. This is a family activity, where parents / other adults also attend to support and encourage while the children learn. Children work on different projects each week; they learn about different artists, art techniques and visits from local artists with some of their paintings. These classes are fun, age appropriate, and keep children’s minds and hands busy! The classes are sponsored by Council on Rural Services and taught by an experienced teacher/artist at a local downtown Greenville setting. There is one class for 4-5-6-7 year olds and another for 8-9-10-11 year olds. Art programs help young children explore creativity; learn to pay attention to detail, build self-esteem and a sense of accomplishment. Fees for the classes are family affordable with full scholarships available, all supplies are furnished. To enroll your child in this class, call Council on Rural Services at 1-866-627-4557 and ask for Debby Brayfield. This is a class to keep kids minds and hands busy! COLUMBUS—State Representative Richard Adams (R-79th District) has announced the bipartisan passage of House Bill 482 from the Ohio House of Representatives. House Bill 482 makes capital appropriations totaling more than $1.7 billion for the fiscal year 2013-2014 biennium while also making other changes that impact the operation of state programs. The capital budget invests $400 million in Ohio universities, demonstrating that education is a priority for the Ohio House. Locally, the legislation appropriates more than $1 million to Edison Community College for various repair and improvement projects. Specifically, $310,000 will be used to replace the windows of West Hall on the Piqua main campus, $150,000 will be used to replace the roof of North Hall on the Piqua main campus, $300,000 will be used for parking lot expansion, $270,000 will be used for projects to improve access, and $140,000 will be used for information technology upgrades. House Bill 482 will now be sent to the Ohio Senate for further consideration and debate. “The Beauty Salon” from Greenville, will be bringing SPA NIGHT to the next meeting of the “Living with Cancer” Support Group. Kathy Black, owner, is hoping this will be a fun filled evening for everyone. The group will meet Thursday, April 5, from 7:00 to 8:30 p.m. at Wayne Health Care on the third floor in the Conference Room. The evening will feature staff from the Beauty Salon bringing pedicures, facials, make-up, demonstrations, tips on skin care, etc. This is for guys and gals, so gentlemen, don’t be afraid to come! This will be a fun and educational time for all involved! The support group meets the first Thursday of each month at Wayne Health Care from 7 p.m. to 8:30 p.m. and different speakers are scheduled each month. Your local and independent Cancer Association of Darke County (CADC) sponsors the “Living with Cancer” group in cooperation with Wayne HealthCare. The Support Group is open to anyone that has been diagnosed with cancer; the family and friends of an individual with cancer are encouraged to attend the group as well. Facilitating the support group meetings will be Christine Yount from the Cancer Association and Jill Brown, from Wayne Health Care. 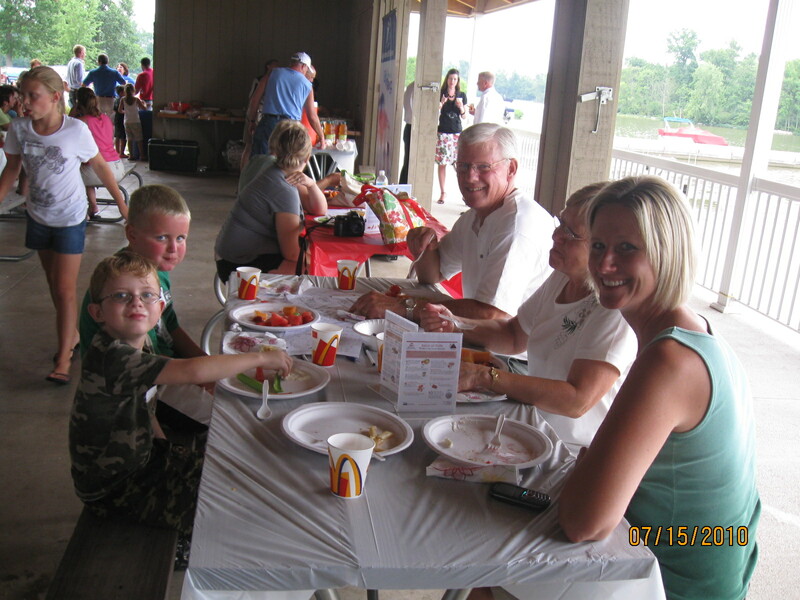 CADC is affiliated with United Way and provides benefits to residents of Darke County who are battling cancer. It is not affiliated with the American Cancer Society. 937-548-9960. Office hours are Monday, Wednesday, and Friday from 9:00 A.M. to Noon and 1:00 to 4:30 P.M.
Bob Rhoades: "Watching the Commissioners' Office Implode"
As we all sit here watching the County Administration implode before our very eyes, one has to wonder how it got to this point. Did the commissioners bring these attitudes and practices with them? Did they learn this type of behavior after getting into office? What about the people who have left office, where did this all start? Is it just a comedy of errors that festered till it popped? The reality of it all is they work for us, supposedly. As we go forward are more things going to surface? We haven’t even scratched the surface on unanswered questions. It’s become pretty evident that Ms. Delaplane talked to Melody Lucas to give her a heads up that the “good ole boy” way of doing business was alive and well. For a long time, Mr. Rhoades was silent on the whole thing. Mr. Stegall who really had nothing to do with any of it because he wasn’t elected yet has defended the situation, but really didn’t need to say anything. The incident that started it all was the former EMA director leaving office either by resigning or getting fired. We can’t tell because it’s been stated both ways. So it looks like without a Freedom of Information Act request for all the documents is the only way we’ll ever know what is really going on at 4th and Broadway. Media Releases said that former EMA director June Mong resigned. Commissioner Mike Rhoades said she was fired. Was this just a mistake? It would be good to know what actually happened. The circumstances of her leaving are unclear. The investigation allegedly found five felony events on her watch. When Judge Hein was Prosecutor, he made it a point to prosecute anyone who messed up that bad, causing them to lose their pension to pay back ill-gotten gains, spend time on community sanctions or incarcerate them. If there were in fact five felony counts after the investigation, why was their no prosecution? Don’t the citizens deserve to have the money that was wasted returned? Do we have a double standard, or was it just supposed to go away. About the same time this was going down, the superintendent of the County Home was removed also, and the public never heard about what happened there. Anyone seeing a trend here? Also about the same time there was the matter of the 911 director being busted for selling drugs. He was convicted, got to keep his job, went to work from jail and lived happily ever after. The sheriff said he was a good employee. I’ve heard that he is but the fact remains: lots of good employees over the years have given up their rights to be good employees because they did something stupid. the Good Citizen Award to Elizabeth Horner. The City Of Greenville will begin brush pick-up April 6th. The pick-ups will be every Friday through September. Please contact the Street Department at 548-2215 for schedule a pick-up (you must schedule a pick up in advance). Planning on purchasing a new car soon? Most Americans aren’t. In fact, in the current economic situation, more Americans are choosing to hold on to their autos as long as possible. In the past 5 years, according to Polk Research Firm, the age of the average automobile has increased by 12%. Jon Snyder, owner of Gus’ Garage in Versailles, Ohio, agrees, "The cost of a new car is a major investment for most people. Even the price of a nice used car has increased as well. Because of these factors, we are seeing people keep their vehicles longer and viewing them more as an investment." Holding on to an older model car changes the way owners think about the maintenance of that vehicle. Instead of just having the oil changed, tires rotated and other basic services, people are now asking about cost effective, preventative maintenance ideas. Recognizing this trend, Snyder researched the best preventative products and found a quality rust protection service called Krown. As a result, Gus’s Garage now offers Krown. The rust protection system is able to shield autos from the humid, wet conditions that Ohio weather is known for. In fact, the Krown product was initially created for harsh Canadian weather conditions. Snyder was impressed with the application process, as well as, the enduring protection from the moisture seen in the Fall, Winter, and Spring months. It also protects electrical components and connections that are often damaged by salt and moisture on unprotected vehicles. Starting at $120 for small cars, Krown is a cost effective method to maintain the investment of a vehicle. For more information on Krown rust protection, go to www.gussgarage.com or call Gus’s Garage at 937-526-3051. Issues relating to the Greenville City Parks has been a constant topic (in between rants regarding the DC Commissioners, of course). The next Greenville City Park Board meeting is tomorrow evening (Tuesday, March 27) at 6:00pm in council chambers in the city building. I would expect those with strong opinions on topics relating to the parks to attend. You can even submit an editorial to DJ on the subject (which can be sent here: darkejournal@gmail.com). It’s not quite time for Poultry Days, but who’s hungry for some chicken? Why not satisfy your craving AND support a good cause? LWM Community Church, 102 W. Main St. in Versailles, will be having their annual Drive-Thru only BBQ Chicken Dinner fundraiser Saturday, April 14th from 11 AM to 1 PM. Dinners are $6.50 a piece and include ½ a chicken, dinner roll, chips, applesauce and a juice. All proceeds will support the LWM Youth Ministry and local children wishing to attend Solid Rock Church Camp this summer. There will only be a few extra dinners ordered, so we recommend you guarantee yourself a meal by pre-ordering your tickets by April 7th from any Living Waters church member, or contact Cindra at 526-9358. You can also leave a message at the church office at 526-4567. Thank you, in advance, for your generous support and God bless! Fort GreeneVille chapter DAR member Karen Burkett and HoDar John Burkett demonstrated colonial life at the March chapter DAR meeting. Trinity Lutheran Church located on the corner of State Route 28 and Jackson Pike in Union City, Indiana. Is offering a free spaghetti dinner on Thursday, April 5 from 5:30 to 6:45 p.m. The meal is offered as a service to the community. As a celebration of Easter. The church also has a Good Friday service on April 6 beginning at 7p.m. On Saturday morning at 10 a.m. there will be an Easter egg hunt at the church. 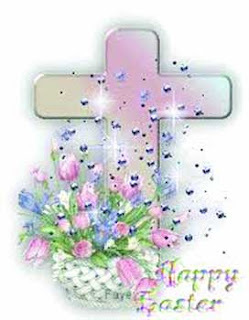 On Easter Sunday, there will be a breakfast in the fellowship hall at 9 a.m. Followed by an Easter Worship service at 10:15a.m. Trinity Lutheran Church would like to remind everyone that events are open to anyone in the community. Whoever would like to share in the celebration of Easter is welcome. Greenville High School Principal Ken Neff recently was recently elected to the Bridges to College board of trustees. Neff joins Bill LaFramboise, Ryan Cox, Diane Swallow, Kevin Blakeley, Aaron Cox, Marlise McCallister, Janice Michael, Chris Mortensen, Chris Seger, Brian Swiger, and Rhonda Williams on the board. Bridges to College, started in 2006, helps more students go to college through educational programming, one-on-one mentoring, and need-based scholarships. 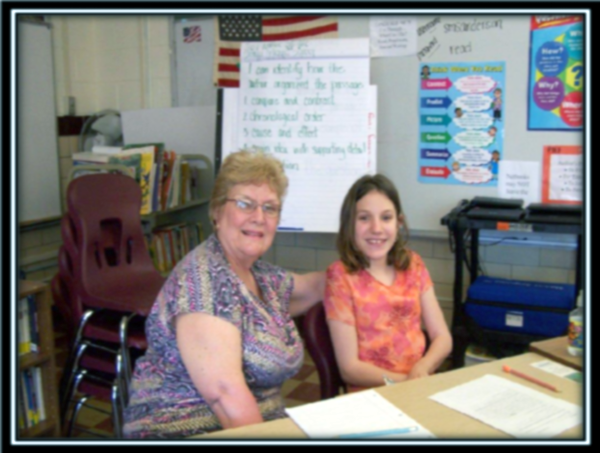 The program offers services to students in the Greenville and Ansonia school districts. “As an educator, Ken brings valuable experience and expertise to the board,” said Beth Sears, executive director of Bridges to College. Before coming to Greenville High School, Neff was a principal at St. Mary’s Middle School. A graduate of Bowling Green State University and Wright State University, Neff received his math teaching certificate from Cleveland State University. Neff also likes that Bridges to College serves students in Ansonia schools and has the long-term goal of serving other districts in Darke County. For more information about Bridges to College, visit its website at www.bridges2college.org or call Sears at 423-2442. Don’t throw them out! The slightly used books, DVDs, videos and tapes that are clogging up your shelves and drawers could be enjoyed by a new owner. Your spring cleaning could mean hours of enjoyment to someone and funds for the FOL to add equipment to the Greenville Public Library over and above what its budget allows. Stash your used treasures in a bag or box and deliver them to P.A.W.S. across from the Dairy Queen on Martin Street in Greenville. The Friends of the Library Annual Used Book Sale will be on Friday, May 25 from 9 a.m. to 8 p.m. and on Saturday, May 26 from 9 a.m. to 2, with Saturday being $3 per paper grocery bag, a real bargain! And where else can you get the same old prices as last year! Book donations should be in good shape. Textbooks, encyclopedias and magazines are not acceptable. Donations may be dropped off any afternoon between 1 p.m. and 4 p.m. at P.A.W.S. and small amounts may be delivered to the Greenville Public Library. Set up for the sale will be on Friday morning at 6 a.m. Those hardy patrons who come in at that early hour to help set up will have first choice on purchase of all materials. Call Brenda at 937-447-3521 if you would like to be one of those early birds who get the “worms”, a.k.a. reading or listening or viewing treasures. are from Jeff and jennie Bertke of Anna. For seven year old, Ava Bertke and her brother, four year old Ricky volunteering and giving back to the community has started at an early age. These two siblings are part of a family match through the Big Brothers Big Sisters program. When Jeff and Jennie Bertke of Anna, decided to become volunteer mentors through the program, Ava and Rickey were all for it. The family became matched with Little Brother, Phillip Beck, of Sidney in December of 2009 and have made great strides in forming a lasting and positive relationship. Phillip Beck is the son of Clarissa Smith. 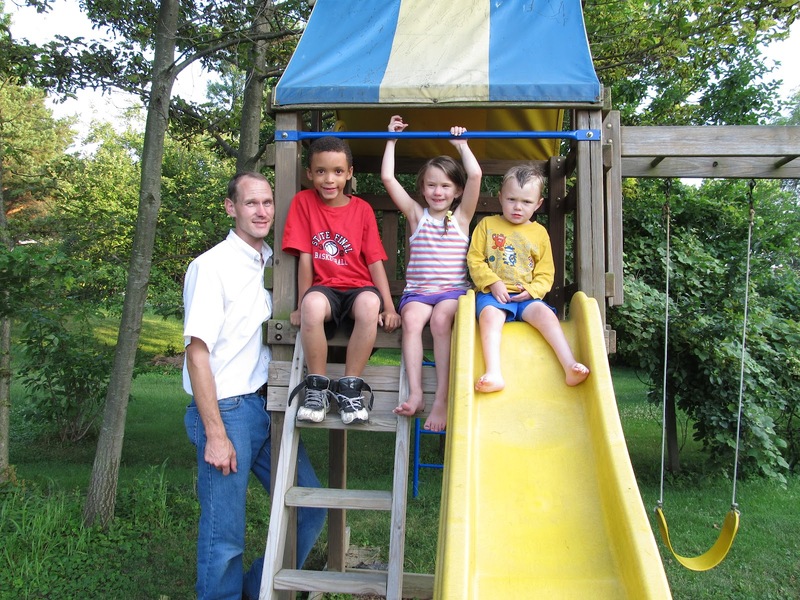 Jeff and Jennie, as well as their children, treat Phillip as part of their family. Phillip is also getting the opportunity to be a “Big Brother” since he is the youngest child of three in his own home. Although some activities are done one on one, the family of five can be spotted all over Ohio exploring and visiting local attractions, both fun and educational. Many activities take place in the home of Jeff and Jennie, as well, but the highlight of these outings is the relationship that is forming and all the memorable photos that are taken. Each year the family works on a scrap book of their outings and then it is given to Phillip as a keepsake of the treasured outings the family has shared. Ricky and Ava are learning valuable life lessons too. Not only do they share the attention of their parents with Phillip, but their toys as well. Jeff and Jenny are busy parents who both work full time and are active within their community. However, they have made a commitment to be volunteer mentors, one that will ultimately touch the life of Phillip forever. Clarissa reports that she sees so many positive changes in Phillips life as a result of this match. His behavior and social skills have improved as a result of the positive role models he has with Jeff & Jennie and their family. Another very successful match is that of Big Sister Pam Berning of Anna, and Little Brother Dennis ‘DJ’ Couchot, of Sidney. DJ is the son of Tanya Couchot of Sidney. Pam and D.J. will soon celebrate three years of their match relationship in May of this year. Tanya reports that she also likes that they can help him with his homework and encourage him in his academics. She states that DJ is “more positive” since being matched with Pam. While many of the activities are one on one, DJ is not a stranger to the home environment of three busy teenage boys. DJ Is included in many of their family activities. Pam and DJ have enjoyed outings, such as a pool party, high school volley ball games, and climbing into farm tractors and a combine. A highlight was attending a Cincinnati Reds baseball game. Dj is not only being impacted by having a positive role model in his life he is getting to experience being a part of a family environment. Big Brothers Big Sisters of Shelby & Darke County is a non-profit United Way member, social service agency. Lisa Brown is Executive Director of the agency. The program specializes in matching children facing adversity with adult volunteer Big Brothers and Sisters. These adults provide children with positive role modeling, as well as new educational and social activities. If you would like to make the difference in the life of a child but are unable to volunteer at this time, Big Brothers Big Sisters has many other opportunities throughout the year for others to become involved. Learn more about our agency by logging onto www.bigbrobigsis-shelbydarke.org or calling 937-547-9622 or 937-492-7611.